Simply Create: It's beginning to look a lot like Christmas!!!! * All entries must contain some sparkle! * To enter just leave a comment with a link to your post featuring the project on your blog or online gallery. * Challenge closes on Wednesday, December 15th 2010 at 9.00am GMT. * Become a follower on the blog (if you aren't already)! * Winner will be picked at random by the first customer to enter the shop on the day! And the exciting bit - the prize!!!!! Prismacolour pens (24 no, plus a fantatsic set of the new Hero Arts stamps, pre their release date- sssh I won't tell if you don't)! Hi love sparkle all year not just christmas time, here's my card, hope it's festive and sparkly enough. Please get rid of your snow soon so I can visit! Thanks for the challenge! Lots of fun! I would love to enter this.. However I am not entirely sure about this picking at random.. Surely the customer should pick the one she thinks is best? Just wondering...? My colouring in skills aren't that great but with those lovely pens I'm sure I could improve! Here's my entry. Thanks. 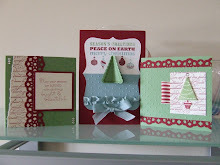 Hi, I really love the "sparkle of Christmas" and will post my card tomorrow. We too are expecting a snow storm in the next few days (Wisconsin, USA) Is Facebook the only way to follow? I don't do Facebook but have your blog on my desktop to check daily. Will that work? Thanks for the chance for some yummy candy. Hello! I've just found this challenge and would love to enter!